Well, Summer is upon us and 2017 is shaping up (no pun intended) to be our biggest and best yet. In late June we finished construction on our project in Stockholm, Sweden - a unique addition to the surprising plethora of skateparks in Sweden. Designing & building skateparks in other countries can be complicated but at the end of the day it's pretty cool to think that there are Scandinavian people in another corner of the world enjoying an Evergreen park. Back in the states we've been working hard in Lewistown, Montana. 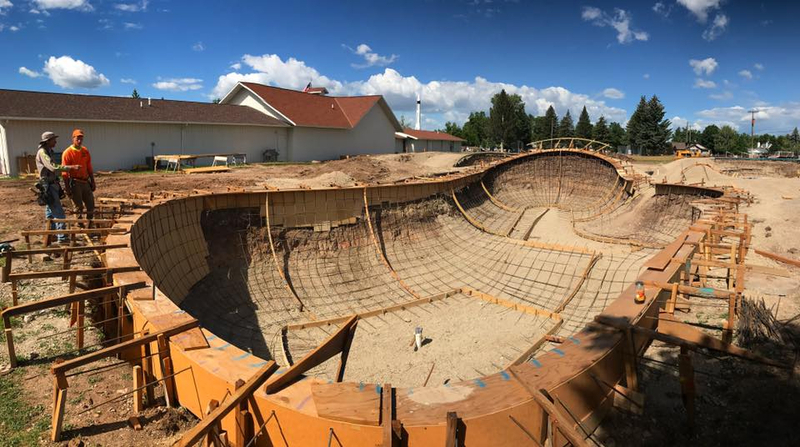 The Lewistown Skatepark is a funding collaboration between Montana Pool Service, The Montana Skatepark Association and the local non-profit Make It Happen Foundation. Lewistown is a nice little town smack dab in the middle of Montana. 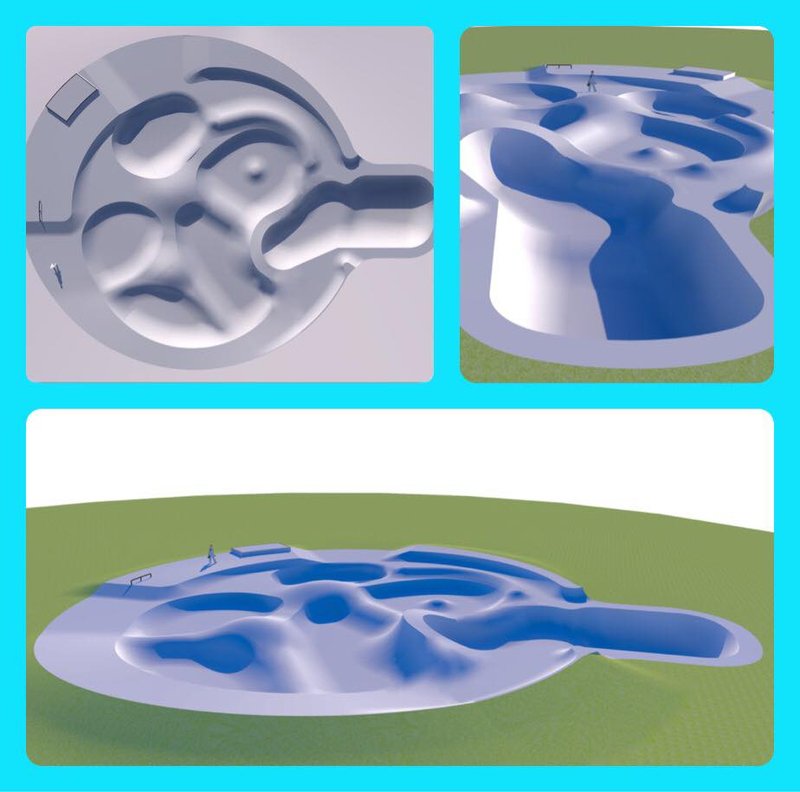 The park features a fun lunar landscape section, a mirrored Treasure Bowl replica, and a street section. Some of the Evergreen higher ups (who will remain nameless) think this skatepark maybe our best yet. Construction should be completed late July. Whole park overview pre-concrete. Yep, we got a drone. While one crew wraps up construction in Lewistown we have another project starting in Sterling Heights, Michigan as of this week. This will be our largest design/build project to date and we'll be working on it for most of the rest of 2017. This will be our 5th skatepark in Michigan and Sterling Heights is just a short drive (and the next town over) from the skatepark we built in Clawson, Michigan. We're proud to say that the Michigan skate scene just keeps getting better and better. 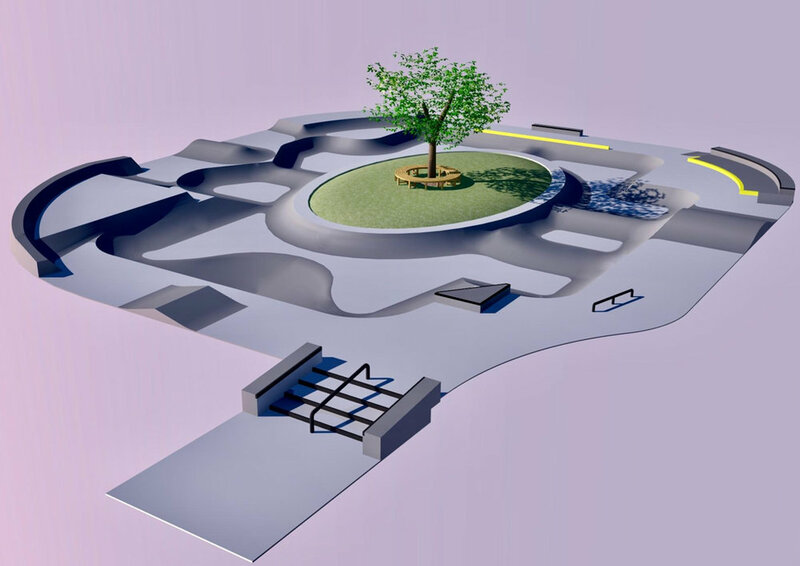 In August, another crew will break ground on the Watertown, South Dakota skatepark.